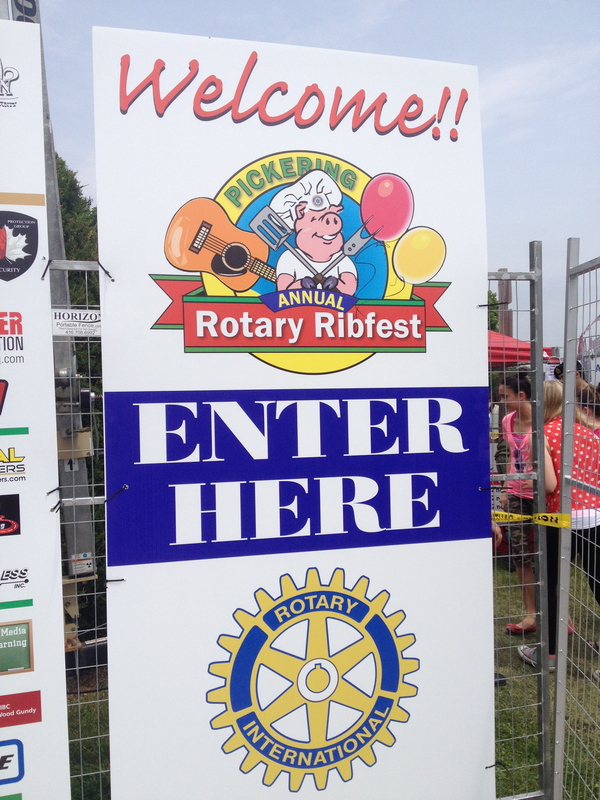 The Rotary Pickering Ribfest comes but once a year. I kind of look forward to this event like a kid does to Christmas morning. 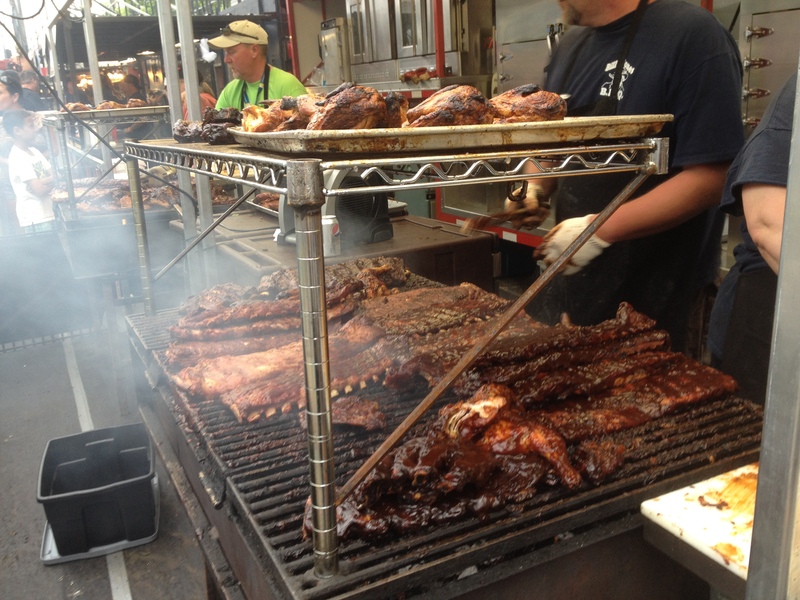 Every first weekend of June, from Friday to Sunday, droves of people near and far, line up for a taste of smoky, succulent goodness that literally falls off the bone. The rib stand caravans come from across the miles, as far away as Florida and The Lone Star State and grace our fair town with Southern hospitality. This was my cheat meal this week without a doubt. 1/3 rack of ribs, slaw and baked beans. Not exactly the cleanest of meals, but it’s only once per year. Andy got his beef ribs( he doesn’t eat pork), I got my sweet 1/3 rack of pork just before the winds picked up, dark clouds began to roll in and I felt a drop on my eyelids. The Pickering Rib Fest boasts great live bands centre stage, fun rides and face painting for the kiddies and most importantly, free wipes. Like I said, not a clean meal in any respect. 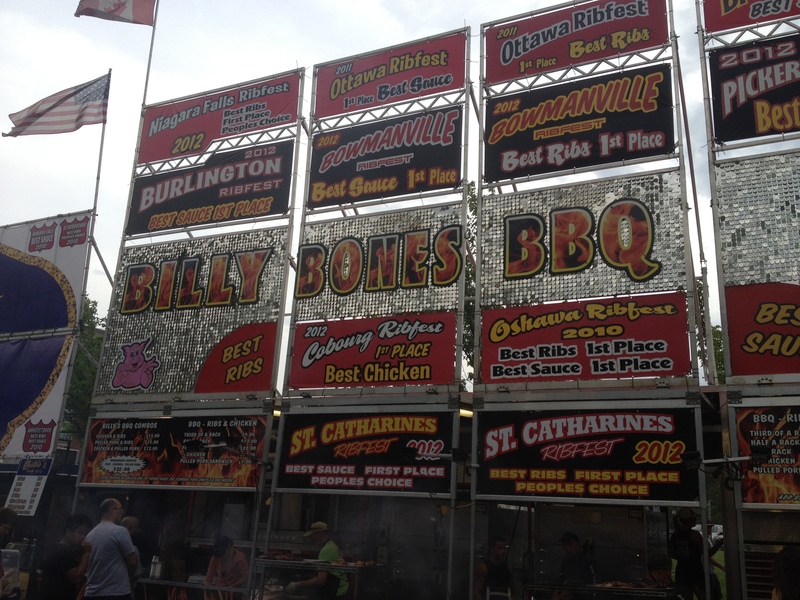 I leave you with a few shots of fun and festivities for the whole family from the Rotary Pickering Ribfest 2013. 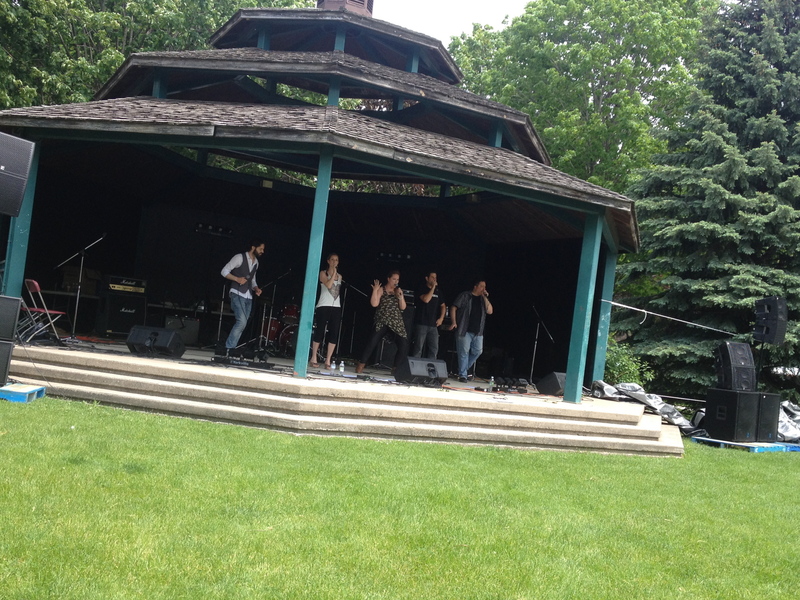 Live entertainment under the grand gazebo. 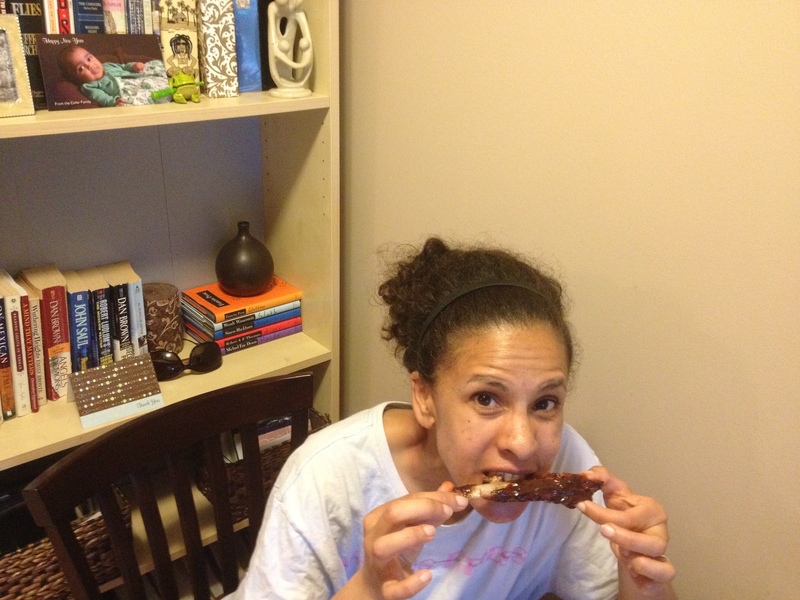 Out of the sudden downpour and enjoying my ribs. Why does it always rain every Ribfest?? It has been raining on and off for the past three years. That doesn’t stop folks from buying their ribs. Yummy! 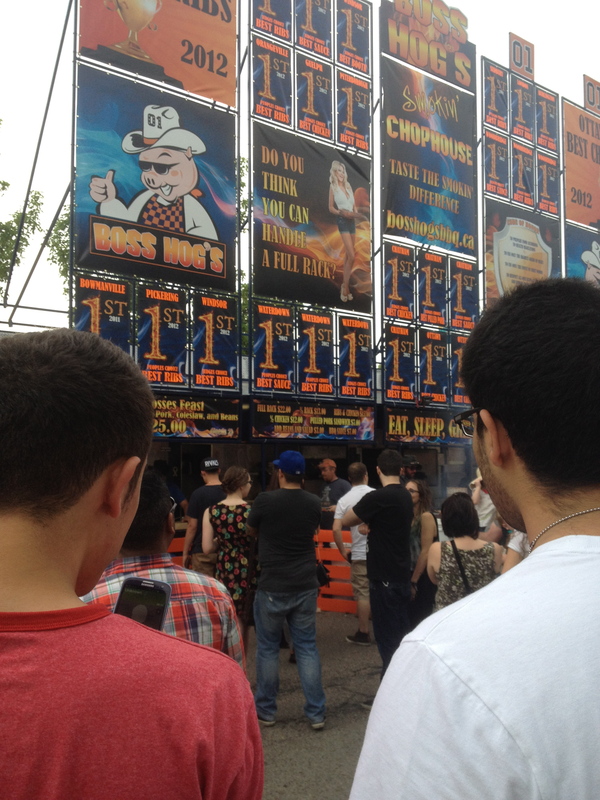 Ribfest looks like fun! Ribs were so good. 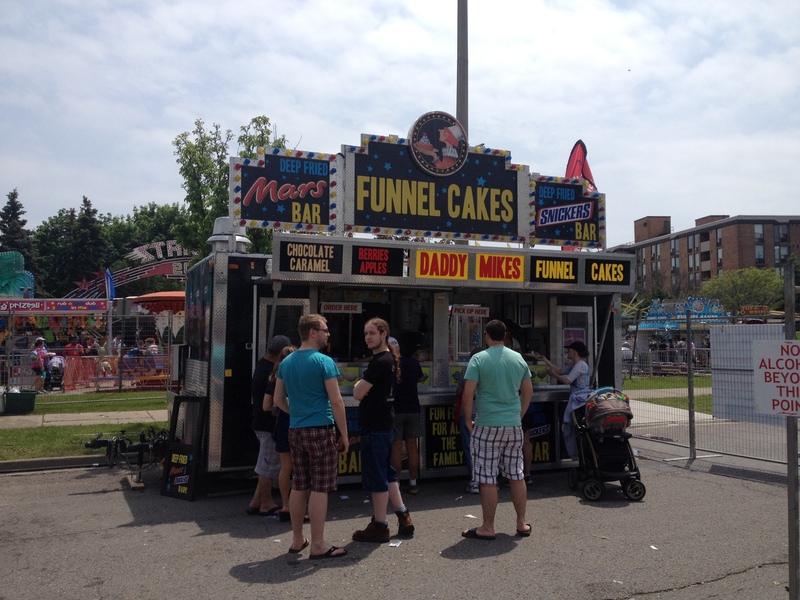 I had to keep clear of the funnel cake booth because that would have been trouble.